Do not be afraid—that phrase is spoken six times in the gospel of Luke; three times by angels and three times by Jesus and we can understand why the shepherds are filled with fear and trembling. They are confronted by the glory of the heavenly host and they encounter a reality beyond the realm of what we see with our eyes and hear with our ears. They come face to face with God’s messenger who proclaims a higher purpose and another perspective from which our world and our lives can be viewed—a kingdom that becomes a reality in the birth of the Christ-child. That kind of encounter with the living God and that connection to this other divine reality have continued to sustain and strengthen Christians down through the centuries. This year Susan and I had the privilege of coming face to face with someone whose ministry has offered that same kind of proclamation of good news of great joy to people in his own country and to many of us around the world. I am referring to Archbishop Desmond Tutu who pointed the way to God's reign of hope and peace in opposition to the South African government's policy of apartheid. His was a powerful voice that encouraged people “not to be afraid” to leave behind old prejudices and sad structures and behaviours that divided and marginalized people in all kinds of ways. 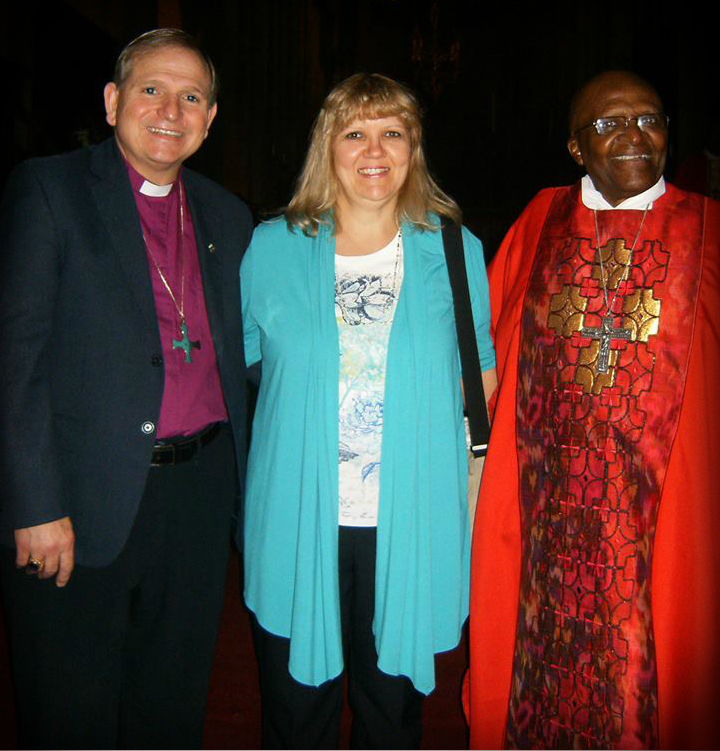 We met him in Capetown, South Africa, while attending a gathering of Canadian and African bishops. These bishops’ meetings are also a witness to the power of Christ's love to strengthen relationships, to turn fear into understanding, to heal divisions and to bind us together and develop new partnerships in ministry, as we participate in God’s mission for the world. Once again we will encounter that divine love as we celebrate, on Christmas Eve and Christmas Day, the birth of God’s Son, our Saviour Jesus Christ. May this good news of great joy fill your hearts and your lives with hope and peace as you gather with friends and family. Susan and I wish you and yours every blessing in this Holy season and much happiness in the coming new year.